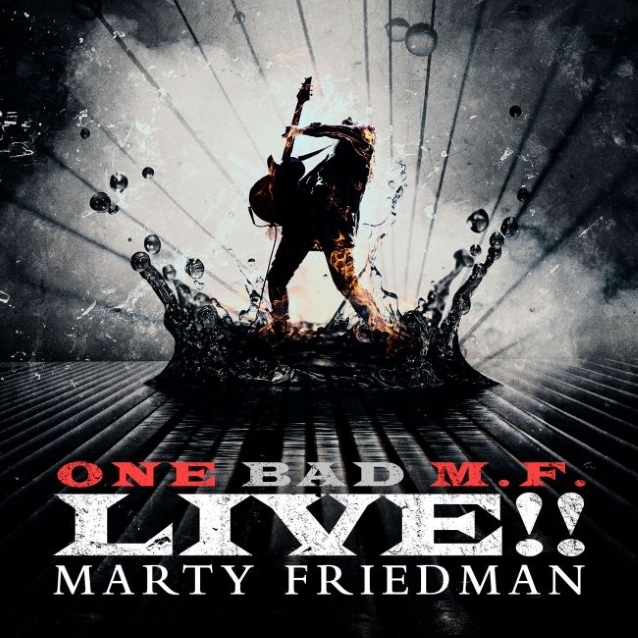 Former MEGADETH guitarist Marty Friedman will release a new live album, “One Bad M.F. Live! !”, on October 19 via via Prosthetic Records. Another track from the disc, “Dragon Mistress”, can be streamed below. “One Bad M.F. Live! !” was recorded at the final concert of Friedman‘s most recent tour, on April 14 at “Guitarfest 2018”, which was held at Centro Cultural Roberto Cantoral in Mexico City. “One Bad M.F. Live! !” was recorded on the tour in support of Friedman‘s latest solo album, “Wall Of Sound”, which was released in August 2017 on Prosthetic Records, and debuted on Billboard‘s Heatseekers chart at No. 12. Joining Friedman on “One Bad M.F. Live! !” are his bandmates Kiyoshi on bass, Jordan Ziffon guitar and Chargeeee on drums. Friedman will celebrate the release of the disc with an October 21 show at The Viper Room in Los Angeles. A full U.S. tour will take place in 2019.